Experts say the world could be on the verge of a significant bacon shortage because of rising feed costs and declining pig populations. Britain's National Pig Association said Tuesday that an international shortage of bacon and other pork products is now "unavoidable," and expects higher prices for consumers soon. Recent data shows Europe's pig population declining at an alarming rate "and this is a trend that is being mirrored around the world," the NPA said in a release. Every major pork-producing European nation has fewer pigs today than they did last year, even as demand for pork products has remained high. A crippling drought in the U.S. farm belt caused the price of corn and soy, two staples of agricultural feed, to skyrocket. Retailers have been thus far unwilling to pass those costs on to consumers, and instead have been paying pig farmers less for each pig. The problem is not limited to Europe. 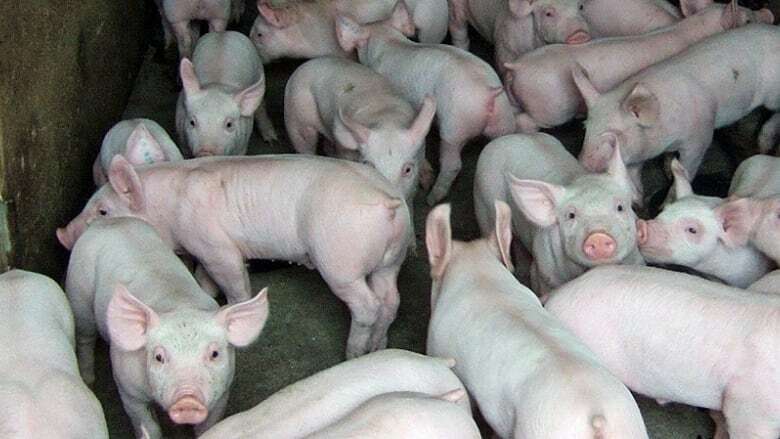 The Canadian Pork Council confirms that the size of North America's pig herd is shrinking, which will drive up prices as farmers start to limit supply. "It's because of the rise in the price of corn," the agency's public relations manager, Gary Stordy, told CBC News. "Producers are losing money right now and like any other business, when you're not making money, you shut down." U.S. laws that mandate a certain percentage of the corn crop go into ethanol fuel for the transportation industry had lit a fire under corn prices even before the drought. The size of the continent's corn crop has been rising for a decade, before falling precipitously this year. The potential pork shortage has made waves on the internet, where bacon in particular has its own frenzied fan club. When that happens, other corn buyers, including pig farmers, get hit. "You can buy futures for some commodities, but not feed," Stordy said. "Farmers can't find a way to hedge their bets, so they have to pay the market price," which has suddenly become unsustainable, he said. "NPA believes slaughtering could fall by as much as 10 per cent in the second half of next year, which indicates a doubling of the price of … pork and pork products," the agency said.